Send flowers today to Moscow, Nizhniy Novgorod, Oryol, Pskov, Rostov-on-Don, Ryazan, Saratov, St - Peterburg and other cities of Russia! Flower bouquets from $29.99. 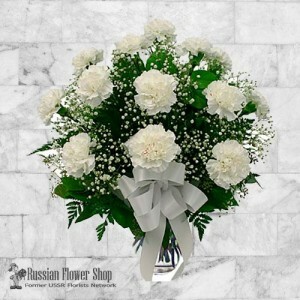 Flower delivery to Russia Same Day Delivery. 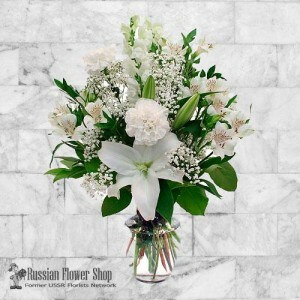 Online flowers delivery to Russia. 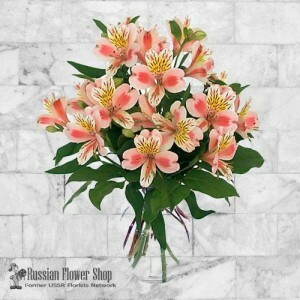 Bouquet with pink alstroemerias.Express yourself simply and wonderfully with this lovely and afforda.. 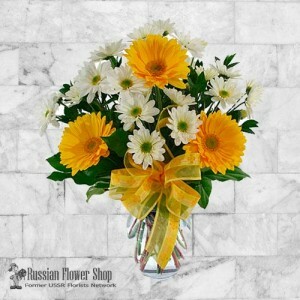 Bouquet with white daisies and yellow gerberas.This clean, bright and cheerful arrangement of w.. Bouquet with 15 white carnations.Give this affordable and thoughtful gift of 15 white carnations arr.. Bouquet with 11 stems of white Peruvian Lilies.Tasteful arrangement of all-white Peruvian Lilies (al.. 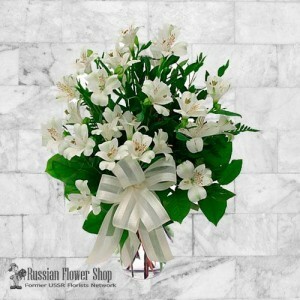 Bouquet with all white flowers - lilies, alstroemerias, carnations.Beautiful all white flowers arran..